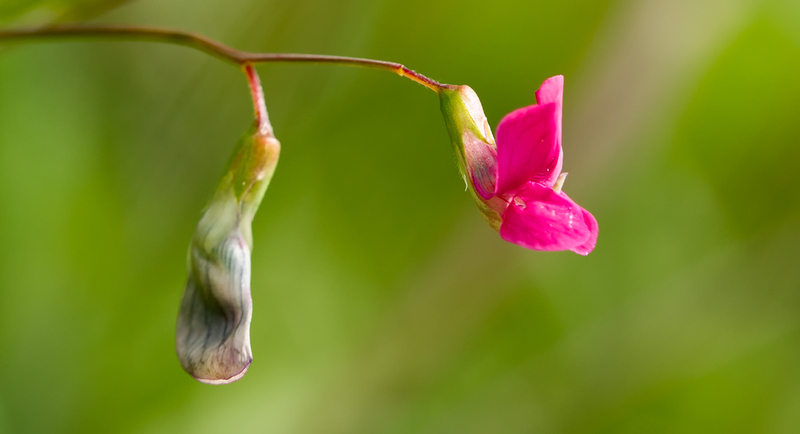 Grass vetchling is a tall, erect annual with and angled stem to about 90cm. 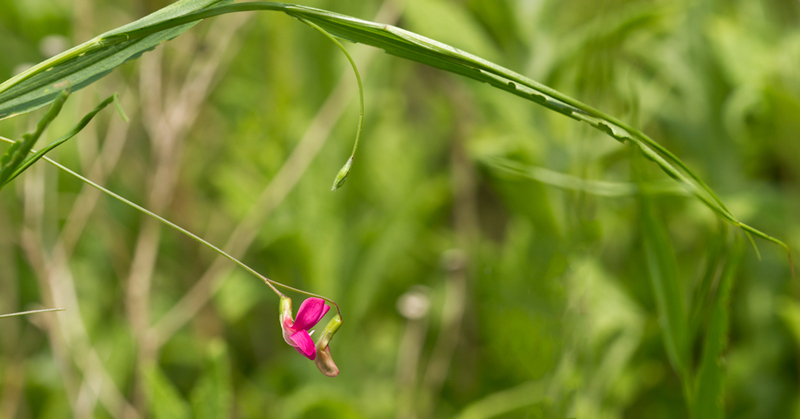 When in flower this striking plant is easy to identify, as it is the only member of the pea family with long narrow leaves (actually pseudo-leaves) so grass like that, when not in flower, it can be a real challenge to pick it out from the surrounding grass. The crimson-pink flowers are held solitarily or in pairs on long stalks from May to July.